Australian farmers are going through devastating times at the moment and need all the support they can get. Our Center Manager Aleysha lives in the south coast were many local farmers are struggling and I want to make a difference. I believe together as a community we can be that difference in at least one family’s life as they get through the drought, and hopefully more. 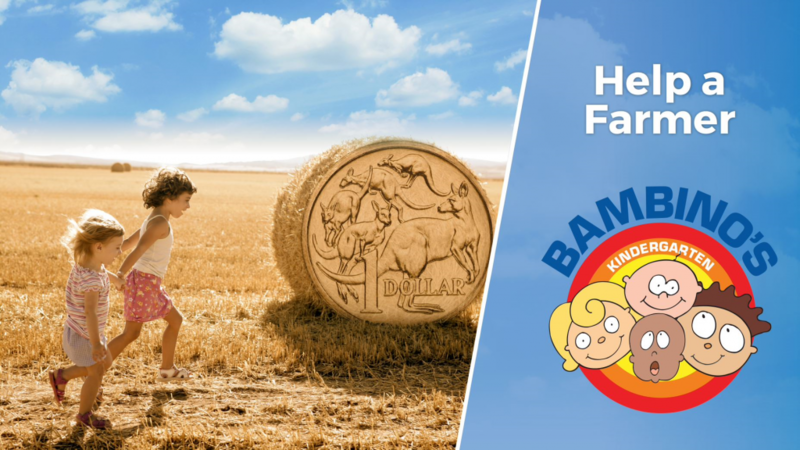 Come on down to Bambinos Kindergarten Caringbah and help us raise funds for our farmers and join in our Barn dance for kids! We’ll have a sausage sizzle and raffle too! Spread the word, we can’t wait to see you there! If you have any questions please contact Centre manager Alysha on (02) 9526 7342.